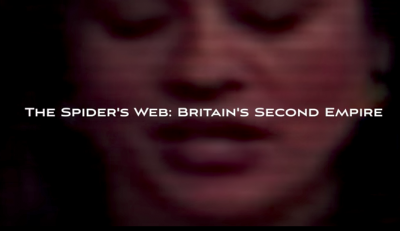 In July 2017 director Michael Oswald’s latest film, The Spider’s Web: Britain’s Second Empire was premiered at the Frontline Club in London. It has since had several screenings in London and public screenings can be organised from November onwards. This fascinating interview just published in Deutsche Wirtschafts Nachrichten explores what inspired co-producers Michael Oswald and John Christensen to make a film documentary about London’s role as the world’s pre-eminent tax haven. Oswald and Christensen also talk about how London might develop once Brexit kicks in, exploring the possibility of deepening the City’s tax haven role through further tax cuts for the rich and more rolling back of financial market regulation and other social protections. At the time of the British Empire, Britain structured its economy not around manufacturing and productive sectors, but around finance. City of London banks provided the financing for the Empire and the colonies would pay interest to the City. Much of the expertise built up during the final decades of the formal empire was focused on ways to avoid paying taxes both in the colonies and in Britain itself. In the 1920s and 30s offshore companies and trusts were increasingly used to avoid and evade paying taxes. In the 1950s, with the emergence of the London-based Eurodollar market, international banks found themselves able to operate in a virtually unregulated financial market which the authorities – in this case the Bank of England – treated in a totally laissez-faire fashion. “Britain has consistently voted against creating a globally representative inter-governmental body to shape a framework of rules to strengthen international cooperation on tax matters. Britain has successfully resisted international pressure to take effective action against its tax havens in the Channel Islands, the Cayman Islands, the British Virgin Islands, and other British dependencies.